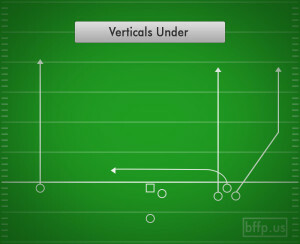 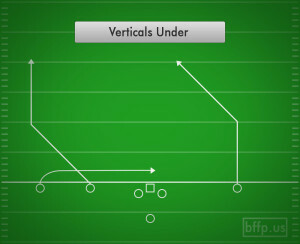 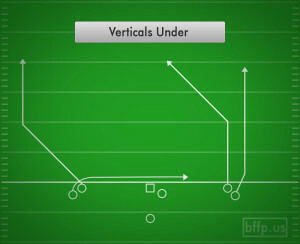 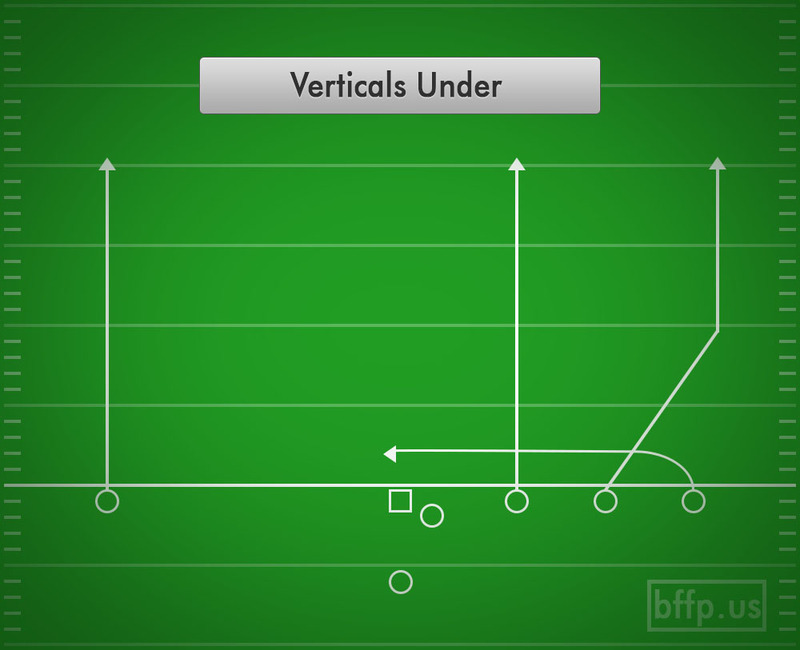 The Verticals Under play sends the wide receivers up field in a shifted pattern that replaces the territory of the Receiver who is cutting underneath the Verticals. 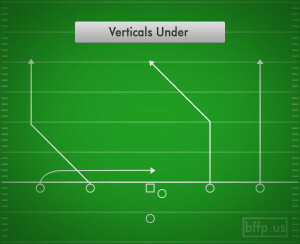 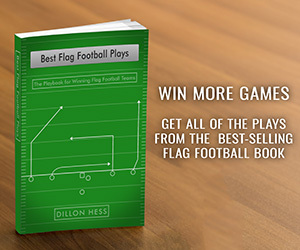 By pushing the Vertical routes up field hard, it will distract the defense from the Shallow Cross coming underneath. 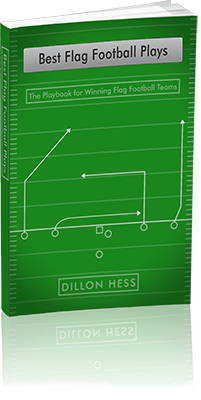 Sometimes, however, the defense will lose track of the receiver taking the place of the underneath route, and he will be open down the sideline for a big gain.